1. Soak the dal overnight. Drain the water and grind into a fine paste. 2. Cut the potatoes into cubes and fry lightly. 3. Grind the cumin seeds into a fine paste. 4. Make a batter of the dal, salt and chilli powder. 5. Grease a thali and pour this batter into it. Steam it for a while. When the dal cools, cut it into small square pieces. 6. Heat oil in a kadai. Fry the dal pieces and keep aside. 7. In another kadai, heat a little oil and add ginger paste. Dissolve the turmeric powder, chilli powder in a teaspoon of water. Add this paste along with the cumin paste to the oil. Fry till the moisture evaporates. 8. Add potatoes and stir for about 6 minutes. Pour 2 cups of water and bring to a boil. Add the fried dal pieces and cook over low heat for about 10 minutes. 9. When the potatoes are cooked, add garam masala powder. 10. Garnish with green chillies and coriander leaves. 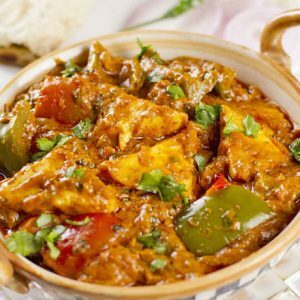 Feel free to comment or share your thoughts on this Dhokar Dalna Recipe from Awesome Cuisine.